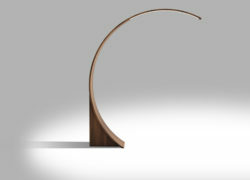 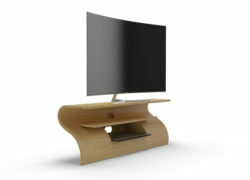 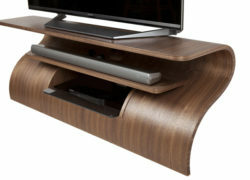 The Surge TV Stand is a stunning design with a dynamic shape reminiscent of a cresting wave. 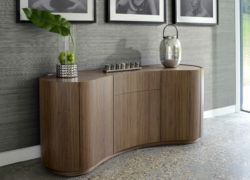 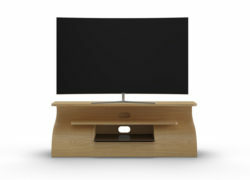 The slender shape is stabilised with hidden support and has a ventilated soundbar shelf and space for media boxes. 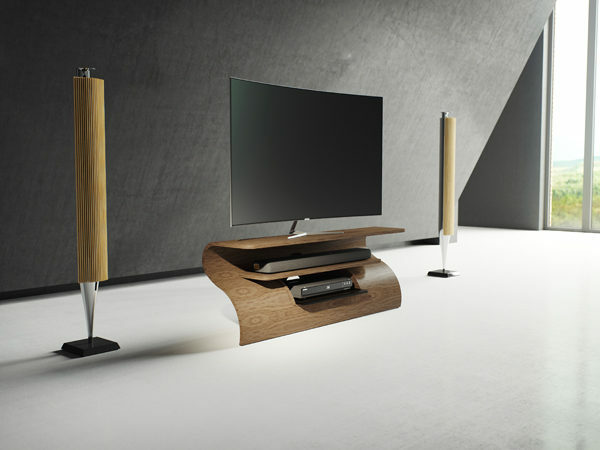 Clever cable management maintains the unit’s sleek look resulting in a gorgeous design-led piece that will look stunning beneath all televisions. 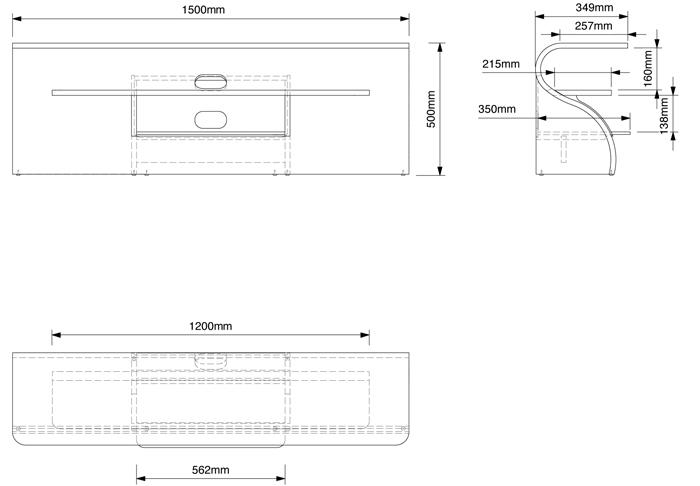 Supplied with adjustable feet for easy levelling on uneven floors. 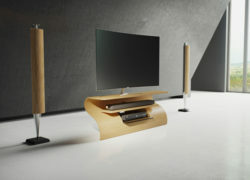 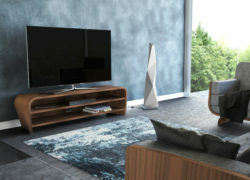 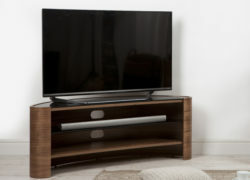 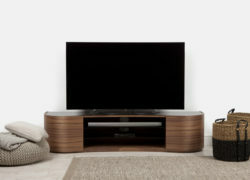 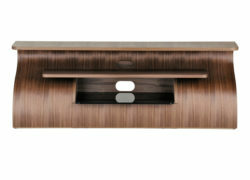 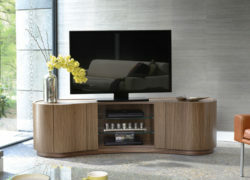 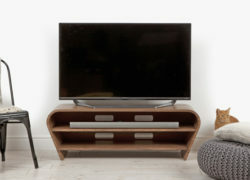 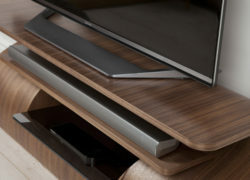 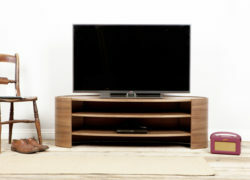 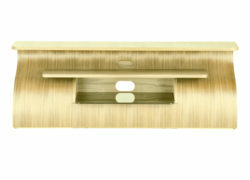 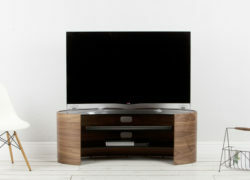 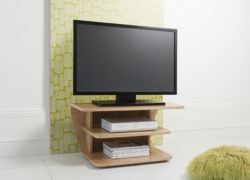 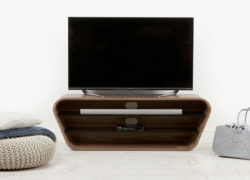 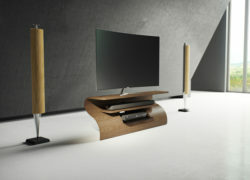 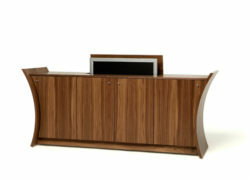 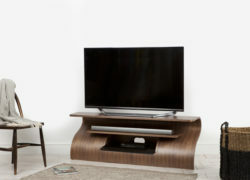 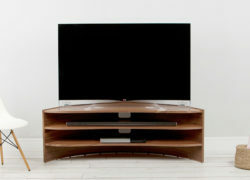 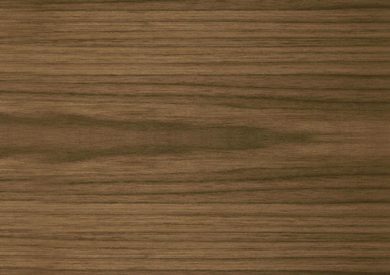 We hold stock of this TV unit in Oak and Walnut, with other finishes available on an 8-week production lead time. 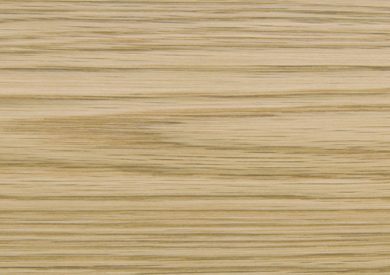 Stock availability can change rapidly so on placing your order, a team member will be in touch to advise you of our current stocks and available delivery dates. 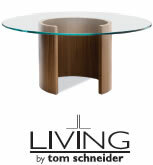 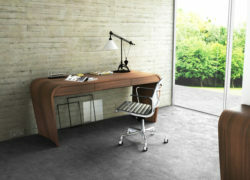 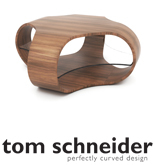 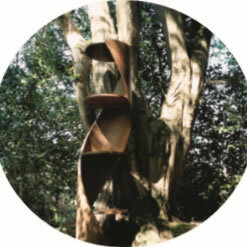 If you require further information before ordering, please contact us on 0208 446 9700, or email info@tomschneider.co.uk. 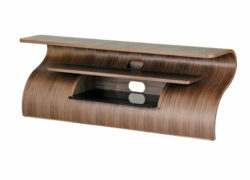 *FREE UK delivery for most mainland postcodes. 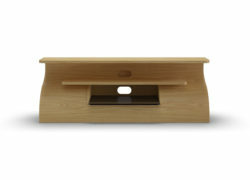 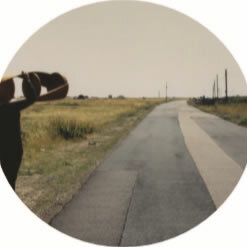 *Remote UK postcodes, EU, US and CA, correct delivery cost is shown in the basket once the shipping address is entered. 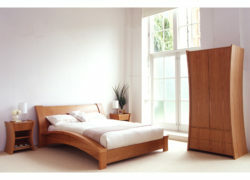 *For more info see delivery tab below. 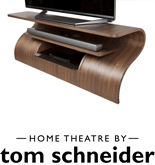 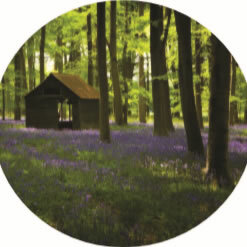 All Home Theatre by Tom Schneider products are covered by a 3 year guarantee against manufacturer defects. 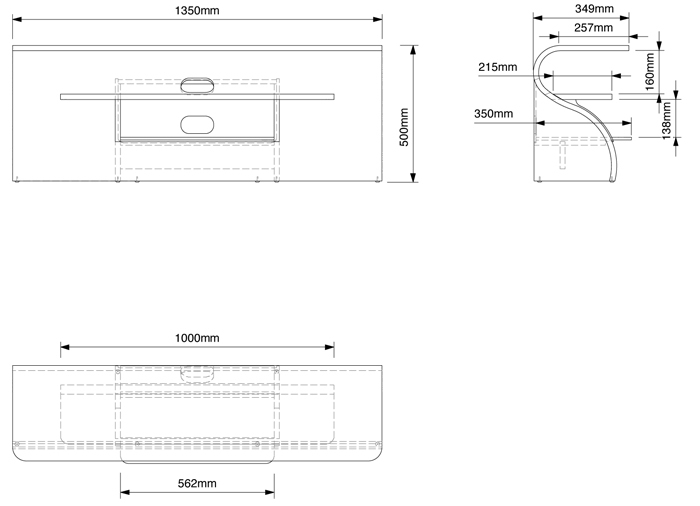 For further information please read more here.